“It was an emergency situation,” she says. The horse Sally was riding was barreling straight towards another, younger horse, and the only way to stop him was to pull back on one rein, hard. She felt a pop in her wrist. Heat shot up her arm, excruciating pain fast on its heels. That was four years ago. No one knows quite what happened to her wrist that day, but whatever it was has left her with constant pain that stretches from her fingertips to her neck, and sometimes creeps into her ribs. On the really bad days, even a hug is unbearably painful. Sally is my youngest sister, and she is one of an unlucky fraction of people for whom an injury catapults their nervous system into a state of chronic pain. The injury itself heals, but like an insidious memory, the pain lingers. We don’t know why. “The whole issue of the transition from acute pain to chronic pain—why some individuals develop that chronic pain and many don’t—is a major, major question,” says Allan Basbaum, a professor at the University of California, San Francisco. Genetics may play a role. So can the severity of the original injury. Today’s painkillers are based on well-known compounds like morphine and are often highly addictive. But what we do know is that once that pain has gotten a foothold, doctors and patients don’t have very many choices. “The irony is that morphine, the 2,000-year-old drug, still remains the number-one weapon against pain,” says Yves De Koninck, a professor of neuroscience at Université Laval in Canada. And it’s not a weapon that anyone enjoys using. Opioids like morphine and oxycodone are famously addictive, and the numbers of people who abuse them are climbing. 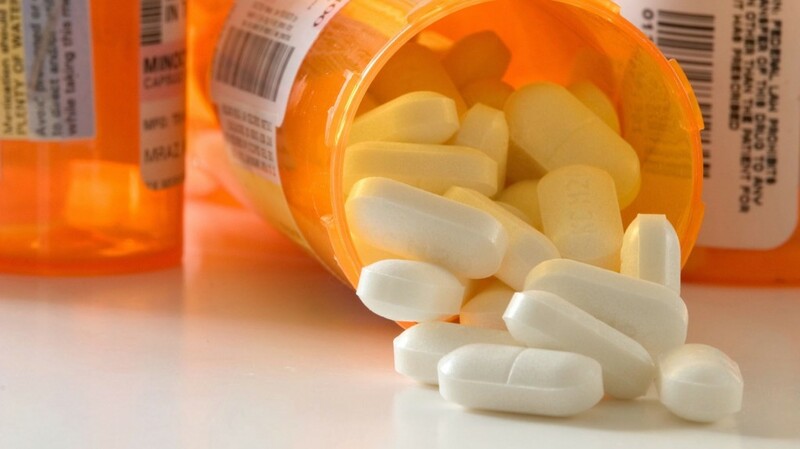 Painkiller overdoses now kill more people than cocaine and heroin combined. And while opioids are invaluable for acute pain, they’re less effective for persistent, chronic pain. In fact—in a particularly cruel irony—long-term opioid treatment can actually make pain worse. Non-opioid pain medications exist, but they don’t work for the majority of patients, and even then they are only partly effective. Opioids work so well for acute pain because they bind to the receptors the body has designed for its own painkillers—molecules like endorphins and dynorphins that blunt the pain response. Finding good alternatives to opioids for treating chronic pain will mean finding different neurological mechanisms to target—mechanisms that explain not just why people hurt, but why some people hurt for so long. De Koninck has found such a mechanism. One of the keys to understanding chronic pain, he believes, is to pay attention to the similarities between long-lasting pain and another, very familiar, neurological process that makes some connections stick around longer than others: memory. Chronic pain is like “a maladaptive memory,” Basbaum explains. Both constitute patterns etched in your brain and nervous system that quicken the connections between “snake” and “poison” or between “bump” and “ouch.” Evidence has been piling up that chronic pain and memory share some of the same cellular mechanisms—and now, De Koninck’s work has shown that a neurochemical trick used to erase memory may be able to turn off chronic pain, too. The number of people struggling with chronic pain has been hotly debated, and the fact that chronic pain is broadly defined and difficult to quantify doesn’t help. But even conservative estimates suggest that about 20% of the population have had at least one episode of serious, chronic pain. In the United States alone, that’s more than 60 million people. “It’s a major unmet need,” De Koninck says. When pain pathways are functioning properly, they play a protective role. When chronic pain gets severe, many patients withdraw, sometimes even from their families. Sally says that she’s constantly nervous, afraid to accept invitations or do things that she loves—like riding horses—in case it makes her arm even worse. The ride that day, Sally says, “changed my life.” For some patients, chronic pain can lead to serious mental health problems—it’s strongly correlated with depression and suicide risk. When pain pathways are functioning properly, they play a protective role. They are a relay of chemical and electrical signals that move from nerve endings to our brains. Pain teaches us to avoid things that are sharp, prickly, or hot. It’s the way our nervous system has adapted to living in a hazardous world. People who can’t feel any pain typically don’t live very long. Our skin is packed with millions of specialized nerve endings, programmed to detect dangerous conditions like heat or pressure. When one of these pathways is activated, the neuron sends an electrical current shooting up its long, thin axon towards the spinal cord. When it reaches the end of the neuron, that electrical signal prompts the release of chemicals called neurotransmitters into the synapse, or the gap between the first neuron and the next. The neurotransmitters dock in receptors on the next neuron, triggering pores to open in the cell’s membrane. Charged particles rush in through these open pores, creating a new electrical current that carries the signal farther up the nervous system. 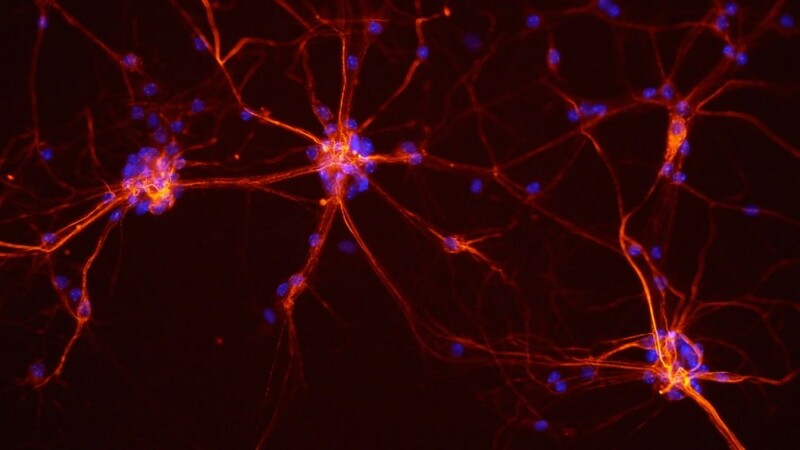 Nerve cells, like these seen here from a mouse’s spinal cord, send impulses along their axons and connect over synapses. The first handoff occurs in a region of the spinal cord known as the dorsal horn, a column of grey matter that looks, in cross-section, like a butterfly. From this first relay point, the signal travels to the thalamus, one of the brain’s switchboards, and eventually to the cerebral cortex, where the signal is processed and decoded. After an injury, it’s normal for the damage sensors near the trauma site to be touchy for a little while. During that time, your nervous system is encouraging you to protect the damaged tissue while it’s healing. But sometimes that extra sensitivity, called “hyperalgesia,” sticks around long after it’s useful. Hyperalgesia is often a major component of chronic pain, and it means that people with chronic pain have to be unceasingly alert. For example, Sally says, before she hurt her arm, hot coffee sloshing onto her hand might have hurt for a few seconds. Now, a careless moment like that means days of burning pain. Symptoms like this suggest that changes in the nervous system have migrated to the spinal cord. De Koninck believes that a major factor is the number of receptors on the signal-receiving neurons in the dorsal horn. If those neurons synthesize too many receptors, they’ll pick up too many neurotransmitter molecules. Then the neurons’ pores will flutter open to let charged particles in more often than they should, sending electrical signals shooting up to the brain at too high a frequency. The result is a pain signal that’s much stronger than it should be. De Koninck’s work gives us a new window into how it happens, and how to stop it. The key lies in a study about memory that was published nearly 15 years ago. Long-term memories seem to depend on the synthesis of extra receptors, too, and scientists knew that blocking the synthesis of those receptors during a memorable event could keep memories from forming. But what a group of researchers at New York University discovered was that there is a brief period when interrupting receptor synthesis can actually erase old memories. Memories are reinforced when they’re retrieved, but, paradoxically, during that process, even well-established memories have a brief window of vulnerability—like jewelry in a safe deposit box, memories are useless when they’re stored but accessible to thieves when they’re being used. A chemical called anisomycin blocks the production of receptors that neurons need to form memories. When the researchers injected anisomycin into rats’ brains right after triggering a particular memory, that memory didn’t just fail to get reinforced—it was erased altogether. Still, discovering that this retrigger-and-erase phenomenon works for hyperalgesia, as well as for memory, suggests that it may be useful in other parts of the nervous system. If that’s true, these kinds of treatments could help with pain syndromes more complicated than hyperalgesia—conditions that are so severe that even light touches become painful, or in cases where patients experience pain with no stimulus at all. Eleanor Nelsen is NOVA’s 2014 AAAS Mass Media Fellow. She has also written for QUEST Science and Wisconsin Public Television.